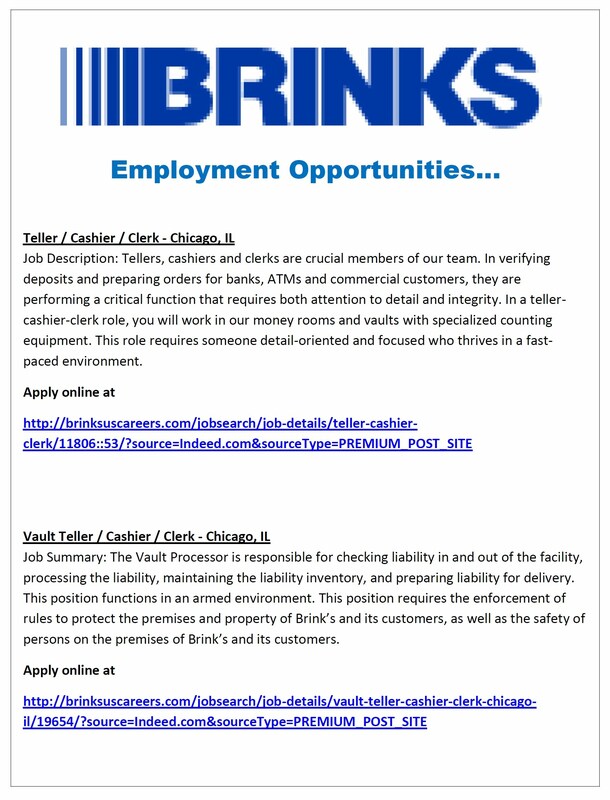 A career at Brink's can provide you with opportunities to fulfill almost any ambition. Join us. Brink's employees are among the best and the brightest. We are a company that cares about employees and their families and provides a dynamic and challenging corporate culture that promotes new thinking and which rewards contribution. Our goal is to create a diverse team, where people from different backgrounds, work experiences and cultures work hand-in-hand to support common objectives. Together, we celebrate the accomplishments of our people, our company and our communities.